The Rothschild’s are a European family of German Jewish origin. Beginning in the late 1700s, Mayer Amschel Rothschild began to establish a collection of European banking and finance houses. He spread his empire by installing organizations in separate European cities. A major part of Mayer Rothschild’s strategy was to keep his business in family hands, allowing the Rothschild’s to maintain full discretion about the size, wealth and overall achievements of the company. Mayer accomplished this with carefully arranged marriages, including relationships between first and second cousins. However, by the later 19th century, almost all the family members began to marry outside the group. 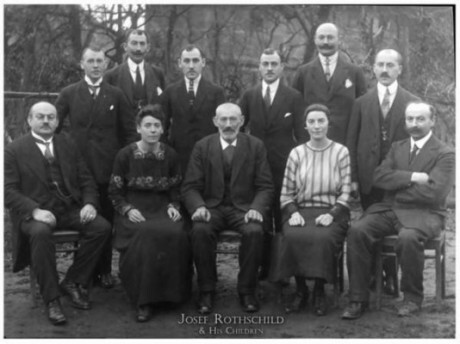 The numbers regarding the Rothschild family fortune are unknown, but during the 19th century, the family possessed by far the largest private fortune in the world, and the largest fortune in modern history. During the Napoleonic Wars (1803-1815), Nathan Mayer Rothschild was instrumental in financing the British war effort. In 1815 alone, the Rothschild’s provided £9.8 million (in 1815 currency prices) in subsidy loans to Britain’s continental allies. Following the British victory, Nathan immediately bought up the government bond market. He waited two years and sold the bonds back to the government for a 40% profit. The turnaround produced an enormous sum of money for the family. After amassing a huge fortune, the name Rothschild became synonymous with extravagance and great wealth. The family was renowned for its art collecting, palaces, and philanthropy. By the end of the 19th century, the family owned, or had built, over 41 palaces, on a scale of luxury unparalleled by even by the richest Royal families. The figures pertaining to the wealth of the Rothschild family have never been made available. It is estimated that at the family’s height, during the mid-19th century, assets would, in today’s terms, be in the high hundreds of billions to trillions. On September 29, 1916, John D. Rockefeller became the first man to reach a nominal personal fortune of US$1 billion. Rockefeller was the founder, chairman and major shareholder in the Standard Oil Company. By the time of his death in 1937, Rockefeller’s net worth was in the range of US$392 billion to US$663.4 billion in adjusted dollars. It has been estimated that John D. Rockefeller’s personal fortune was equal to 1.53% of the total U.S. economy. He is widely regarded to be the wealthiest American in the history of the United States. Other Americans on this list include Cornelius Vanderbilt, Henry Ford, and Andrew Carnegie. Marcus Licinius Crassus was one of the leading politicians of Rome. Crassus is held to be the wealthiest man in Roman history and is likely to be the richest man in all of history.